The new S&S Motolisa collection is hot and is now available for pre-order. 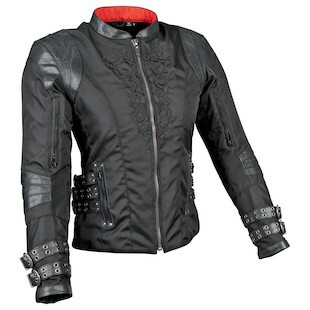 The Speed and Strength Women's Motolisa jacket has a futuristic feel with ornate buckles and sculpted designs. It has a water resistant AR-600 frame with leather trim, CE-approved shoulder and elbow protectors and removable dual density spine protector. Other features include removable full sleeve insulated liner, microfiber lined collar and cuffs, ornate engraved belt buckles and premium embroidered art. The reflective trim adds an additional protective element. Speed and Strength Women's Motolisa jeans are 12oz. pre-distressed denim, reinforced with DuPont Kevlar in the knees and seat. 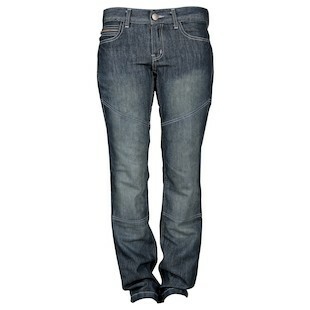 They fit like your regular jeans but with a slim fit and boot-cut, they'll look like your favorite jeans. Don't miss the rest of the Speed and Strength apparel lineup and upcoming video reviews as soon as they are in-house.